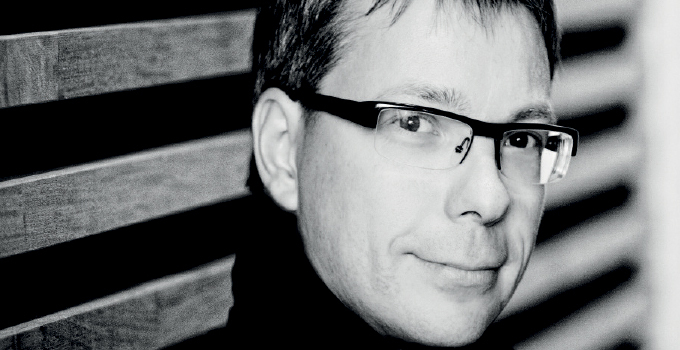 Kalevi Aho (b.1949), one of Finland’s foremost contemporary composers, was born in Forssa in southern Finland on March 9, 1949. He commenced his violin studies in his home town at the age of ten, and his first compositions also date from this time. From autumn 1968, he studied the violin and composition at the Sibelius Academy in Helsinki; his composition teacher was Einojuhani Rautavaara. 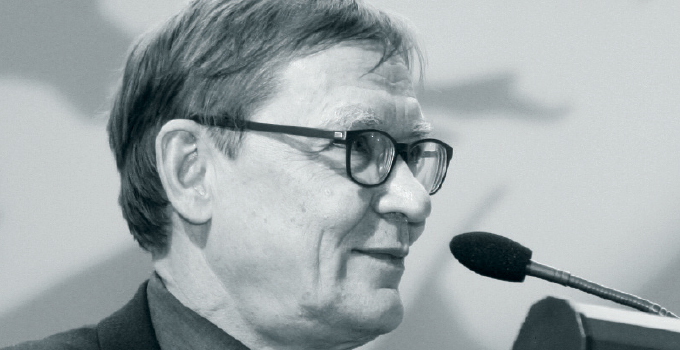 After graduating as a composer in 1971, Kalevi Aho continued his studies in Berlin (1971–1972) as a pupil of Boris Blacher at the Staatliche Hochschule für Musik and Darstellende Kunst. From 1974 to 1988 he was a lecturer in musicology at Helsinki University, and from 1988 until 1993 a professor of composition at the Sibelius Academy. As of autumn 1993, he has worked in Helsinki as a freelance composer. The focus in Aho’s compositions is on large-scale orchestral, chamber and vocal works; to date his output includes five operas (1978–2013), 17 symphonies (1969–2017), 28 concertos (1981–2016), three chamber symphonies for string orchestra, other orchestral and vocal music and a large amount of music for chamber ensembles and solo instruments. He has also made a number of arrangements and orchestrations of works by other composers. The most important of these is the completion of Uuno Klami’s unfinished ballet Pyörteitä (Whirls). Since 1992, Aho has been composer-in-residence of the Lahti Symphony Orchestra, and in 2011 the Orchestra awarded him the title of Honorary Composer. 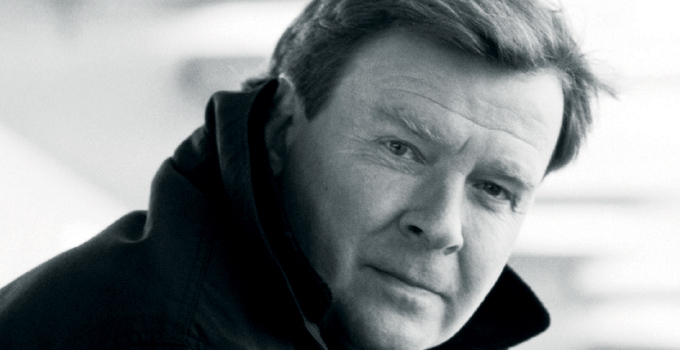 In Finland, Kalevi Aho also has a reputation as a keen writer on music, some times taking a critical stand on Finnish cultural policy. He has occupied a number of important positions in Finnish cultural life. Magnus Lindberg (b. 1958) is one the leading musical influences and composers of his generation in Finland today. He studied composition with Einojuhani Rautavaara and Paavo Heininen at the Sibelius Academy. The latter encouraged his pupils to look beyond the prevailing Finnish aesthetics, and to explore the works of the European avant-garde. This led around 1980 to the founding of the informal grouping known as the Ears Open Society which aimed to encourage a greater awareness of mainstream modernism. Lindberg’s compositional breakthrough came with two large-scale works, Action-Situation-Signification (1982) and Kraft (1983–85), which were inextricably linked with his founding of the experimental Toimii Ensemble. His works at this time combined experimentalism, complexity and primitivism. During the late 1980s, his music transformed itself towards a new modernist classicism. Lindberg’s output has positioned him at the forefront of orchestral composition, including the concert-opener Feria (1997), large-scale statements such as Fresco (1997), Cantigas (1999) and Sculpture (2005), and concertos for cello (1999 and 2013), clarinet (2002) and violin (2006 and 2015). Recent works include Seht die Sonne (2007), commissioned by the Berlin Philharmonic, his first choral-orchestral work, GRAFFITI, premiered in Helsinki in May 2009, and Era (2012) for the 125th anniversary of the Amsterdam Concertgebouw Orchestra. Lindberg was Composer-in-Residence of the New York Philharmonic between 2009 and 2012, with new works including EXPO, Al Largo for orchestra, Souvenir for ensemble, and the Piano Concerto no. 2 premiered in 2012. He was appointed Composer in Residence with the London Philharmonic Orchestra for three years from the 2014/15 season. A new orchestral work, TEMPUS FUGIT, was commissioned from him by the Finnish Radio Symphony Orchestra to celebrate the centenary of Finnish Independence in December 2017. In 2003, Lindberg was awarded the prestigious Wihuri Sibelius Prize. 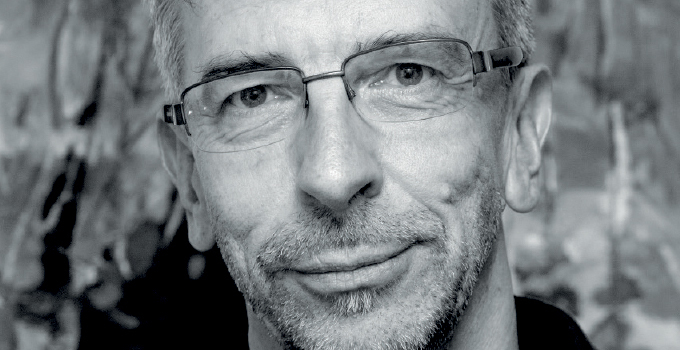 Erkki-Sven Tüür (b. 1959) studied percussion and flute at the Tallinn Georg Ots Music High School (1976–1980) and composition with Professor Jaan Rääts at the Tallinn Conservatoire (1980–1984). He also took private lessons from Professor Lepo Sumera in Tallinn and trained in electronic music in Karlsruhe. In the latter half of the 1980s he started working as a professional composer. The main characteristic feature of Erkki-Sven Tüür’s music is an intense energetic transformative dimension. The intuitive and rational approach is synthesised into a complete organic system. Instrumental music constitutes the main body of his work. He is the author of nine symphonies, a number of works for symphony and string orchestra, ten instrumental concertos, a wide variety of chamber music and an opera. In 2014, Tüür was awarded the Culture Prize of the Republic of Estonia for his Clarinet Concerto Peregrinus Ecstaticus and the orchestral De Profundis. Peregrinus Ecstaticus was also awarded the “Young Musicians Favourite Choice” prize of the Foundation of Prince Pierre of Monaco in 2015. In the same year, Tüür was the recipient of the Christoph und Stephan Kaske Stiftung’s prize in Munich.